San E Wants to Know "Where Did You Sleep"
My first exposure to San E occurred during his time as a host for the Gurupop Show. He had a goofy sense of humor that never failed to make me laugh. But due to this being my only exposure to him, I didn’t know how serious San E was about rapping — boy was I missing out. 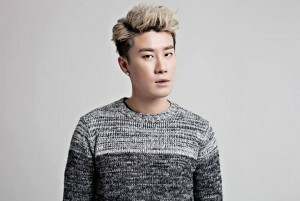 San E started out as an underground rapper, winning recognition for his rap skills at the 2010 Public Korean Music Awards. Shortly afterwards, he joined JYP Entertainment as the company’s first solo rapper. However, JYP didn’t promote San E as much as they should have and San E left the company after his contract expired earlier this year. He chose to join Brand New Music which is home to artists such as Verbal Jint, Swings, and Phantom. After joining Brand New Music, San E released “Rap Circus” which finally peaked my interest in him as an artist. San E’s latest release, “Where Did You Sleep” is a fun and energetic song that has quickly become one of my favorite releases this year. 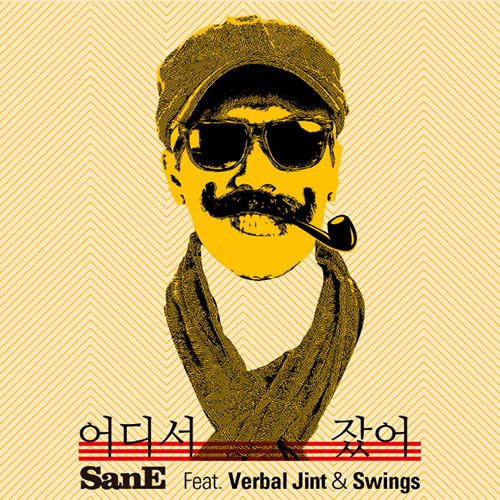 “Where Did You Sleep” also features Verbal Jint and Swings. Verbal Jint has the tendency to steal the spotlight in most songs and MVs that he is in. Fortunately, he and San E share the spotlight equally which serves as a testament to San E’s performance skills. Swings didn’t seem to have much of an impact visually but his rap made up for his lack of presence. “Where Did You Sleep” is a song about a man wondering where his girlfriend was the night before. The MV takes this theme and turns it into a whimsical sleuthing music video complete with a crime scene, detectives, and Sherlock Holmes outfits. San E takes on the role of Sherlock Holmes and his furious typing on the typewriter cracks me up. Verbal Jint is the modern day detective who investigates the crime scene of the girl’s bedroom. Swings plays the gangster/mob boss who also can’t deal with his girlfriend. What I love about the MV is how bumbling and not-in-control the men are. Their first few scenes set them up to be suave and dapper but when they finally confront their girlfriend, they’re at a loss. The woman becomes the cool-headed, apathetic one and her ambivalence towards being “interrogated” just adds to her chicness. I also laughed when she made faces at Swings. It was so immature and childish but somehow still fit in with her image. The only thing unclear about the MV was whether the woman was meant to be playing the three men or if the actress was supposed to be three separate women. I think it is the former because San E, Verbal Jint, and Swings all investigate the same room. However, upon first watch I had thought the actress was playing three separate women. In the end though, this wasn’t a big enough confusion to detract from my viewing pleasure. It’s a cute metaphor that becomes even more relevant to Korean society when you consider that Korea has one of the most well-developed mobile networks in the world. Overall, I am really digging “Where Did You Sleep.” The MV is probably my favorite music video this year and the song ranks in my top 10 as well. I think the energy of the MV and delivery of the song is what has been attracting people to it. And even though I was confused about the women/woman situation, I find it such a minor detail that I wouldn’t actually subtract points for it. 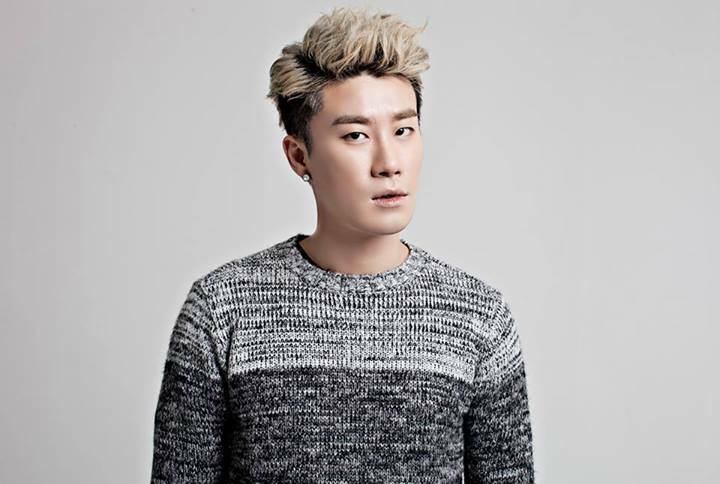 Thank goodness San E left JYP; Being at Brand New Music suits San E much better. I truly hope they continue to promote him like this because it is evident that he has talent and creativity. I’m eagerly anticipating his mini-album release and until then, I’ll keep “Where Did You Sleep” on repeat. Did you like the MV? Who did you like best? “Ringa Linga”: Better as a One Take Wonder?